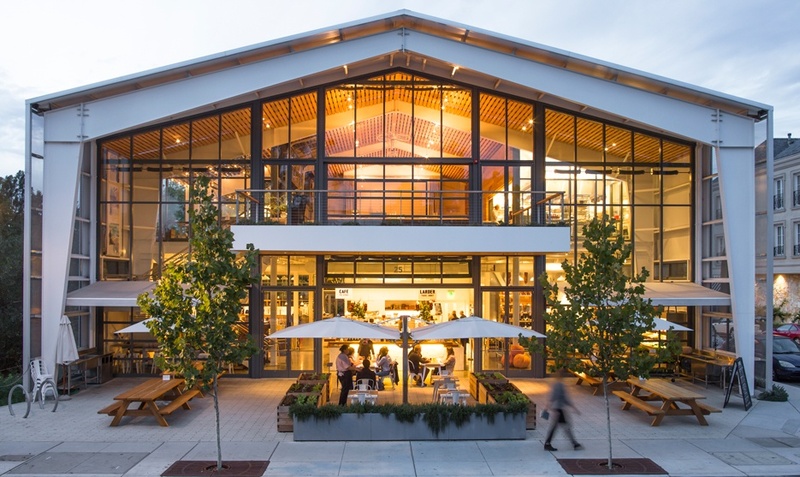 Winner of a 2014 James Beard Award for restaurant design, SHED is a market, café, and community gathering space in Healdsburg, California designed to bring us closer to the way we grow, prepare, and share our food. 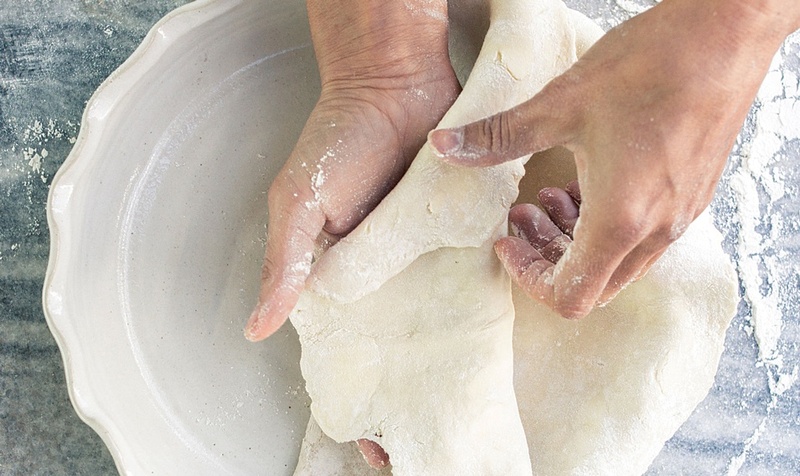 We caught up with owner Cindy Daniels to learn more about the home she has created and join in her mission to nurture the connection between good farming, good cooking, and good eating. Tell us your story. What inspired you to start SHED? Over the years we’ve been fortunate to be part of a growing community of sustainable farmers, wine producers, and environmentalists in Northern California, and wanted to create a place that embodied the best the region has to offer. We found inspiration in the words of Wendell Berry: “An agrarian mind begins with the love of the fields and ramifies in good farming, good cooking, and good eating.” These words became our mantra. We called ourselves SHED, because we would be tied to our foodshed, with most of our food flowing from local farms and ranches. We would be active conservators of our watershed, and stewards of the land. Our market/café/gathering place would be, in effect, an abundant toolshed offering enduring, quality tools for the kitchen, garden and farm. And symbolically, our shed would be an enclosure that shelters ideas, sustenance and community. What about Healdsburg, California made you decide to locate there? In 1994 we discovered a 15-acre hay field and moved from San Francisco to Healdsburg with our two small children to realize our dream of having a farm. Located in Dry Creek Valley, a fertile watershed with the climate and geography that suggested the opportunity for a diversified farm, HomeFarm is now a rich patchwork of intermixed fields and orchards where we grow an array of vegetables, herbs, flowers, olives, grapes, chickens, bees, fruits and nuts. You describe SHED as a modern Grange. To those who are not familiar, can you discuss what this means? To those unfamiliar with the Grange movement, there’s a rich history that goes back to the late 1800’s when farms formed collectives to create healthier, more resilient communities and built grange halls to provide a place to share ideas and socialize. 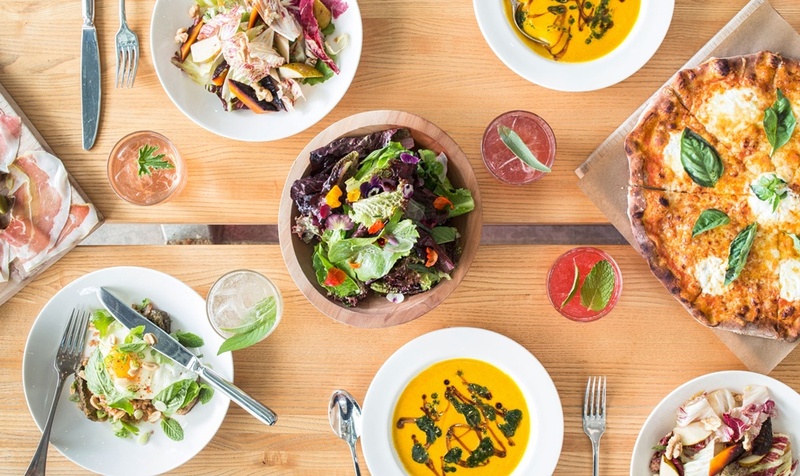 SHED engages the Grange’s history as both a rural meeting place and farmers’ exchange but is firmly rooted in contemporary Healdsburg. We are a gathering place that celebrates our region’s farmers and makers while tapping into a global community of chefs, producers, and visitors. Our dinners and programs, crafted to revive the Grange traditions of fellowship, conviviality, and exchange, feed a cultural appetite for ideas and interests ranging beyond the realm of food and farming, including art, culture, civic engagement, and community. What does ‘farm-to-table’ means to you and why is it important to SHED? Our vision was to create a place where the beauty and aliveness of the complete food cycle—the growing, preparing, and eating —would become visible, revealing and reinforcing the path from farm to table, and back to farm. Our café brings together all of the elements we believe in: responsible farming, ingredient-driven cooking, and flavorful food. That’s what farm-to-table means to us at SHED. Located in the heart of our space, the café features an open kitchen, wood-burning oven, and house-made products. Our menus change daily, inspired by what’s in season, and reflect our commitment to local farmers and producers. Can you talk a little bit about your intentions behind SHED’s unique design? Our desire to celebrate local farms, food, and community shaped the building’s architecture and informed the construction. The utilitarian pre-engineered metal building is a familiar type of barn found throughout California’s agricultural landscape. 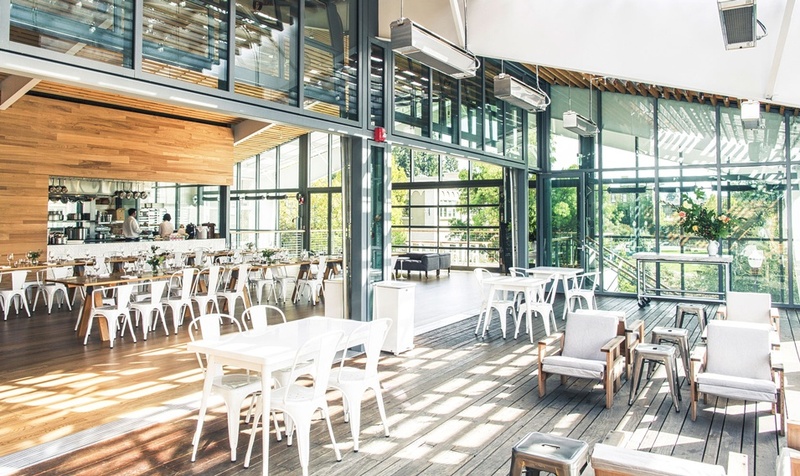 Inspired by open-air markets, the space is very light and airy, with 8 large garage-style doors that open to the outdoor decks and to the street, inviting people in and letting the activity spill out. We worked with environmentally minded manufacturers and local artisans to create a resource-efficient building that uses recycled metal siding, shredded denim for insulation, reclaimed wood for most of the furnishings, and solar power for almost half our energy. We even have a rain garden along the side of our building to filter all of the water falling on the roof and site before it flows into the adjoining creek. What can you tell us about the community at SHED? Our growing community includes farmers, ranchers, fishermen, artisan producers, wine/cider/beer makers, backyard gardeners, chefs, home cooks, food crafters, musicians, dancers, thought leaders, environmentalist activists, civic leaders, authors, children of all ages, and most importantly, teachers and enthusiastic learners. Fundamental to our mission of promoting good farming, good cooking and good eating is the educational program at SHED. We have a diverse array of classes and workshops with wonderful instructors teaching skills such as butchery, composting, pruning, beekeeping, basketmaking, beer and cidermaking, cheesemaking, and many others. In addition, we schedule all kinds of demos, book signings, wine tastings, etc to activate our cafe, bar, and market areas downstairs. We also like to stage fun social events such as pie contests, annual cider pressings, pumpkin carving contests and other seasonal and celebratory events. Upstairs, in what we call our Modern Grange, a large flexible meeting space supported by a commercial kitchen, we’ve had lectures, panel discussions, exhibits, and film screenings as well as seed exchanges, farmer meet-ups, producer dinners, and live music. Pulling together society’s threads to help create a community-wide tapestry of support, we’ve also hosted many local groups doing social good: our farmers market, our farmers guild, our riverkeeper, our public schools, and our land trust among many. As a community resource SHED also welcomes private conferences, meetings, and celebrations. These threads are just a few of the ways we’ve worked to become a community resource, a cultural hub, and a vibrant place for people to gather, collaborate, and grow. 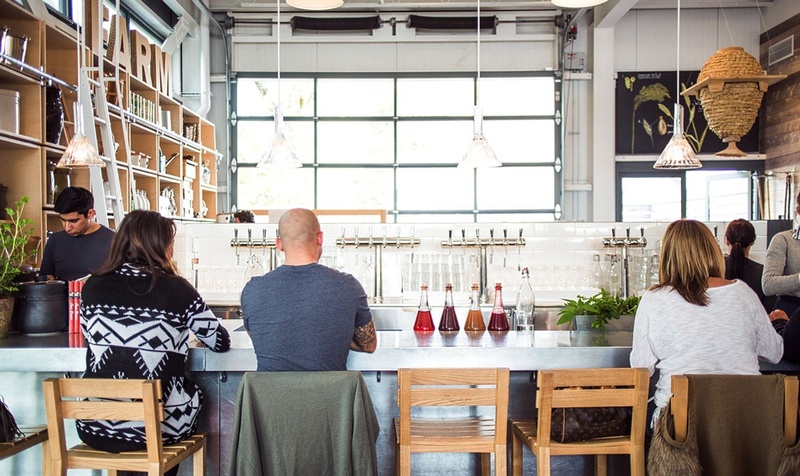 Your fermentation bar is truly one-of-a-kind. Can you tell our readers a little bit about it and the beverages you create? To guests who are going to visit SHED, what type of experience should they expect? A visit to SHED should feel like a fun and friendly tour of what’s happening in food and farming in our region — stop first at the Story Table — where we like to weave together seasonal themes and topics. Wander and discover —that’s what makes SHED a fun experience. Stop at the ferm bar for a shrub and a nibble, or take a seat at our community table and say hello to someone new sitting next to you. We hope you’ll consider us a vibrant place to eat, connect, share, learn, and grow.